The Stilo DG-30 Digital Intercom is the first Active Digital professional intercom system available commercially. Used by the victorious Volkswagen WRC team for the past two years, the Stilo digital intercom systems provide a technological advantage to their users thanks to its phenomenal noise cancelling feature. The DG-30 can separate its users’ voices from unwanted sounds within the period of a millisecond to produce crisp and clear audio far above the quality of any traditional analogue intercom system. Without the excess sounds being detected by the intercom system, communication between the users is easier and more efficient than ever before. This advanced intercom system also evaluates the incoming noise levels every five milliseconds and dynamically adjusts the audio relative to the option selected to ensure that both people can hear each other clearly at all times. Three components are required in order for this intercom system to work: the intercom unit itself with all intercom circuits & telephone modules, additional cables to supply power to the unit, as well as helmet wiring cables. 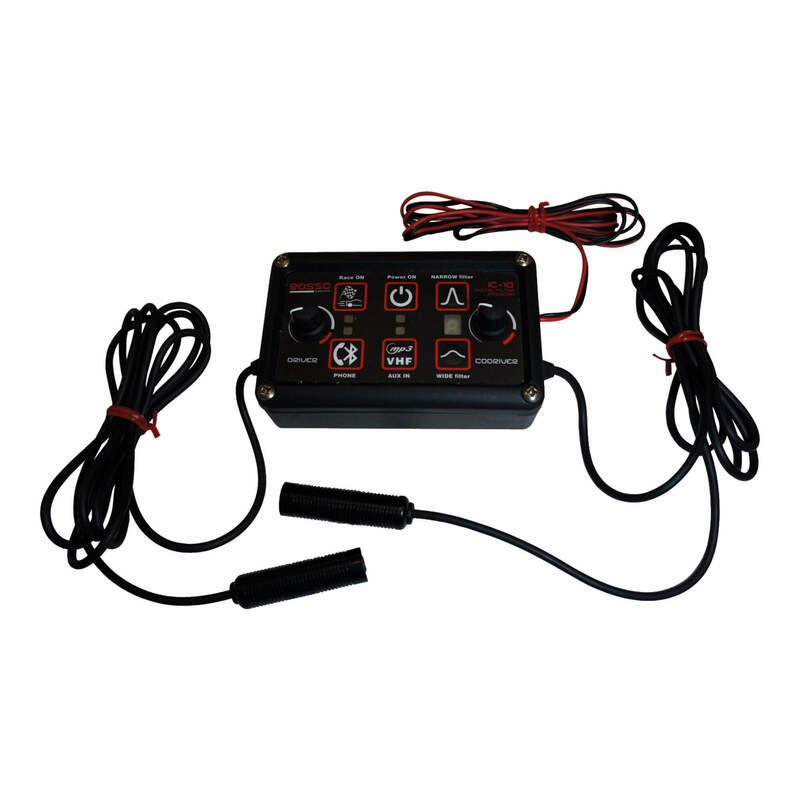 The remote control panel is designed for ease of use in controlling the entire system. The DG-30 has two separate intercom circuit built inside the main unit, one digital system and a substitute analogue system that can instantly be activated from the main control panel if it is ever required. 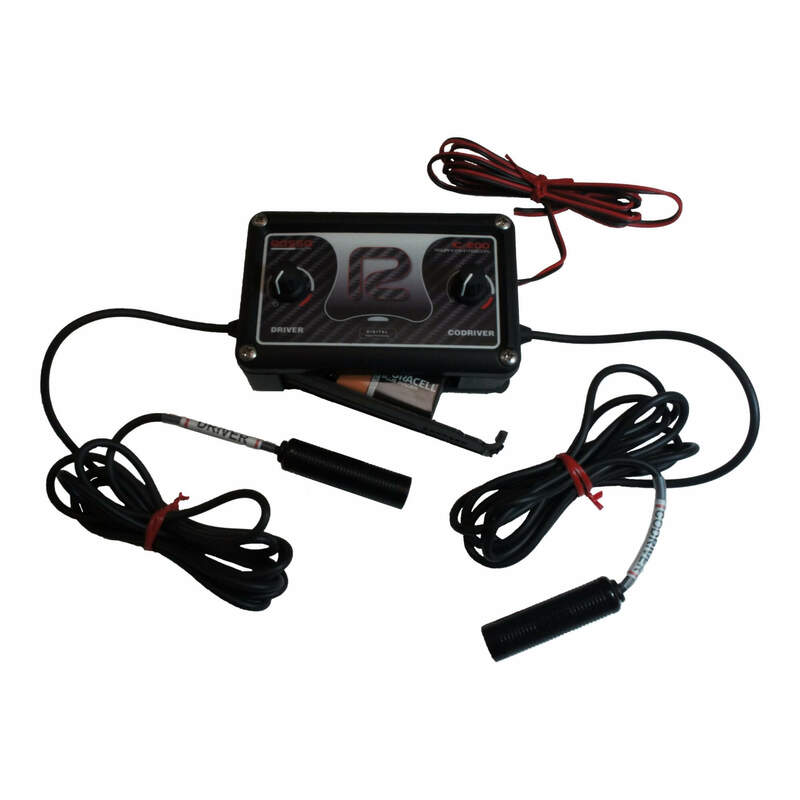 Both the driver and the co-driver have can control their volume individually. In the DG-30 there are also three audio quality settings that can be accessed via the EQ button which adjusts the vocal pitch audible to the individual user. Three separate noise cancelling modes are also included so that this intercom system can be used in any environment. 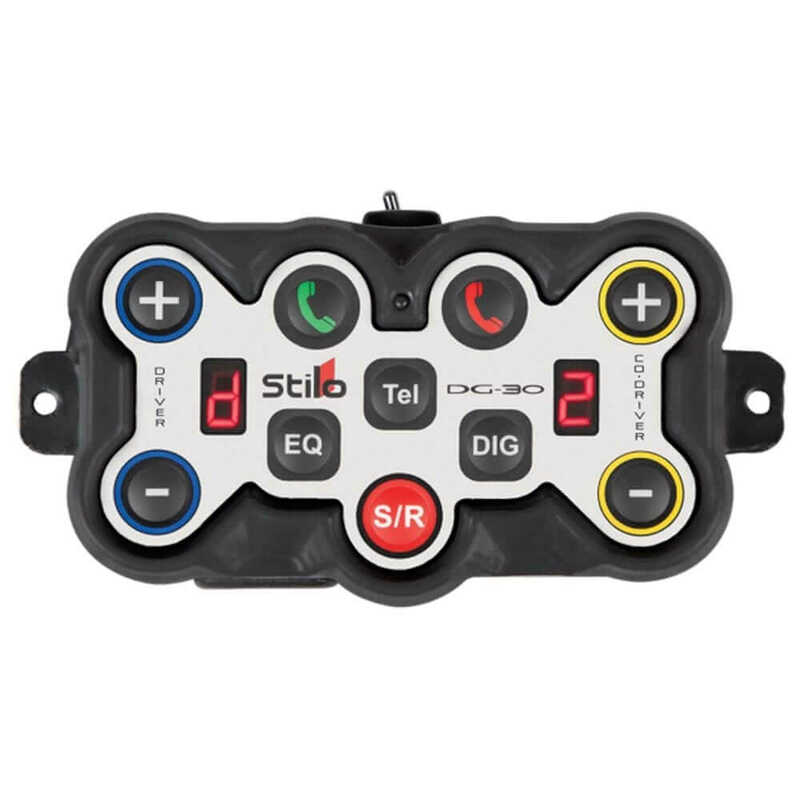 The inbuilt telephone module in this intercom system allows a sim card to be inserted into the main unit and used to speed dial preset numbers to call directly from the main unit and talk through the headsets or the helmets when the device is in road mode. 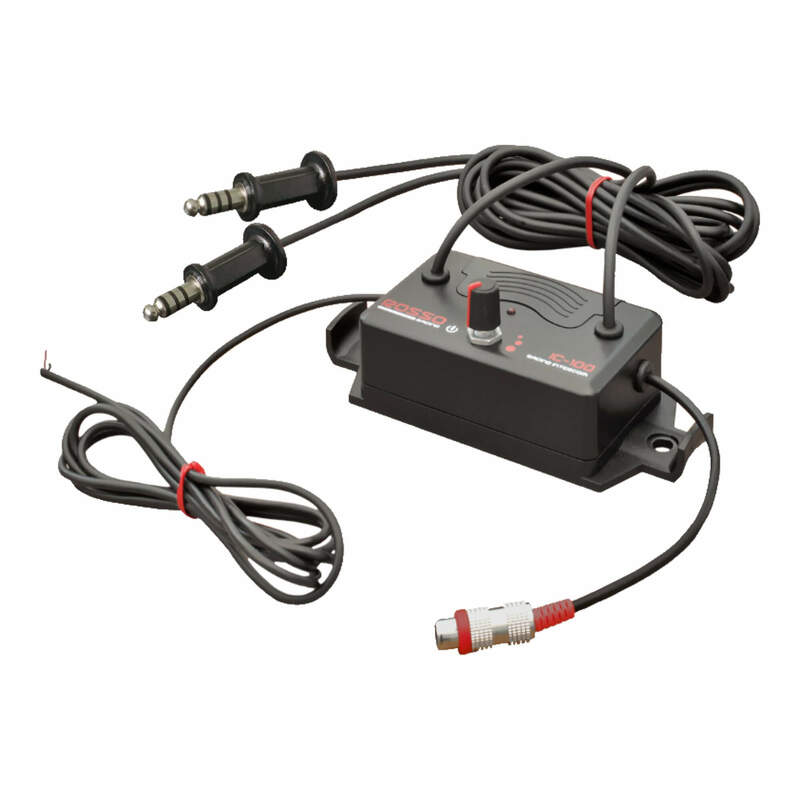 During stage mode, the telephone module system is deactivated to allow uninterrupted communication between the users. The main intercom unit has been specially designed to be located in a suitable location that would cause minimum disruption. 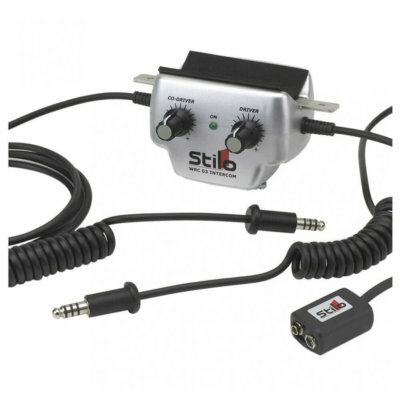 This unit is also capable of connecting to an external radio or MP3 player when using the road mode, as well as an output for the crew communication audio to be recorded whilst stage mode is active. 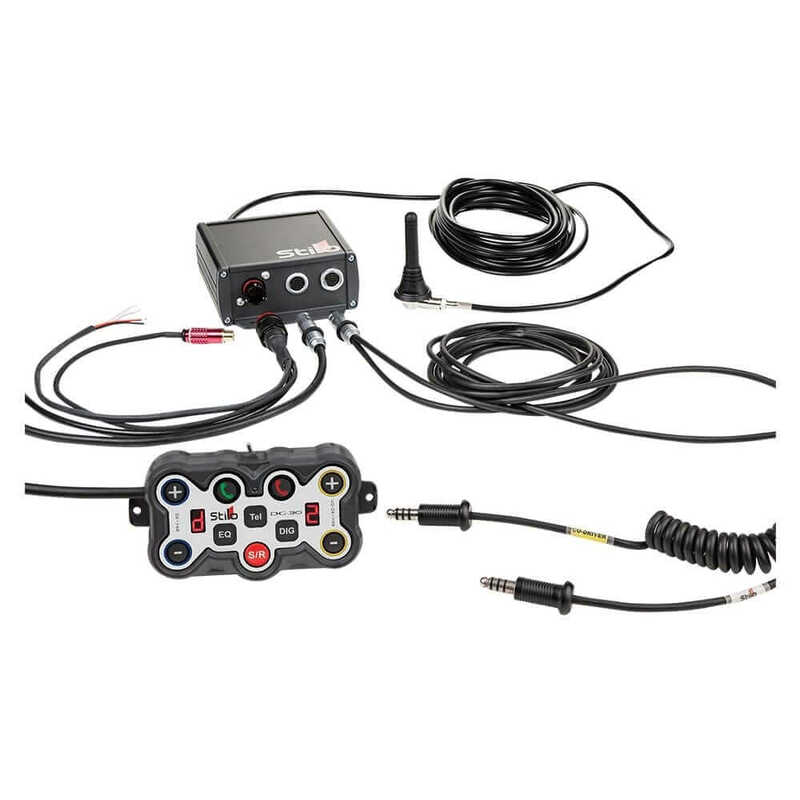 Please note that unless your purchase this product with its connections included, the following items are also needed to install the DG-30 Intercom: DG-30 Intercom Helmet Connecting Wire (SLOYB0600) and the Amplifier Power Supply Complete With Camera & Radio Connecting Wire (SLOYB0301).